Wouldn’t it be wonderful to present your mom with an 18″ strand of pearls & 7mm pearl studs mounted with 14k gold for Mother’s Day? Harry Robinson Buick GMC is having just that giveaway! 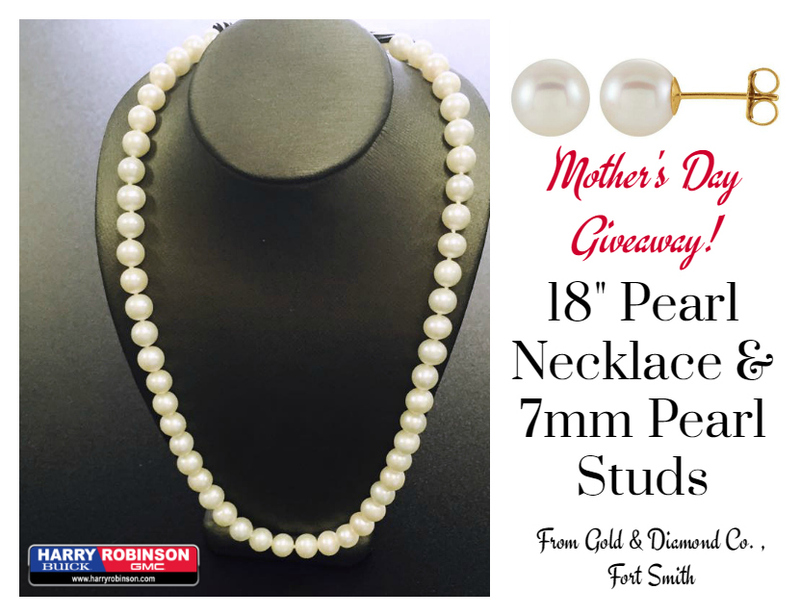 Enter to win this prize from Gold & Diamond Co, Fort Smith. Winner announced May7th. Enter here by liking our facebook page & uploading a picture of your mom. (No one can see the entries except for me.) You can also enter by sharing our contest on Instagram or Twitter using the hashtag #hrbgMOM to enter. The winner will be announced May 7th!